Learning to own the impact we have on others is essential to developing effective personal and professional relationships. Being defensive and placing blame are common tactics that only escalate misunderstandings and conflict. When we place blame, it prevents us from accepting the role we play, no matter how large or small, and creates an obstacle to resolving the problem (and your feelings). Despite our best intentions, misunderstandings do occur so taking responsibility for the impact gets you closer to a resolution. • In communication, the sender has an intention; a purpose for the communication. This communication has an impact on the receiver. • Misunderstanding, misinterpretation, and conflict arise when there is a gap between our intention and our impact….when what we “meant” to communicate doesn’t happen and is misunderstood. • When this happens, we judge ourselves by our intention…I didn’t mean to so don’t be upset...you’ve said this before, right? • And when we are the receiver, we judge others by their impact…if you hurt me, I don’t care what you meant; I’m still hurt! • To resolve the misunderstanding and accept the truth, we must judge ourselves by our impact (own it and take responsibility), and judge others by their intention (accept their truth). There is a basic inequity when we judge others differently from ourselves, and rarely are we even aware of this inequity. 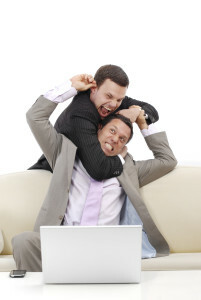 Accepting the impact of your words or behavior, puts you in a better position to resolve the conflict. It affords the opportunity to apologize, clarify the intention, and validate the experience or feelings of the other person. And conversely, when you accept someone’s true intention and forgive them for the impact, it allows the relationship to move forward. Give it a try and let me know if you see a difference in your own experience. Want to know more about Mutual Inquiry? If you are looking to improve your how you communicate and work with others I strongly encourage you to read Learning in Relationship: Foundation for Personal and Professional Success. Its an easy read with practical examples and visuals to exemplify communication strategies. No matter where you go, there is always someone who is out to steal your joy. Different thieves may be motivated by different things and use different tactics, but the result is the same. They target you to steal your joy, leaving you feeling frustrated, aggravated, angry, and even sad. 1. Don’t beat yourself up, it’s hard for them not to have impact so when they do, be honest about how it makes you feel. 3. Stand up for yourself! If there attempt to steal your joy crosses the line, be strong and take a stand (and remember to maintain your temper and integrity while doing it). 4. Surround yourself with people who value your joy, they’ll remind you of all things about yourself that bring you joy in the first place. 5. Kill them with resiliency! The ability to bounce back and not let them get to you is the best medicine for them and you. Just writing the title makes me a little uncomfortable. Having those difficult conversations stirs up a range of emotions; all of which makes us want to avoid them. We fear saying the wrong thing and having the situation escalate or being misunderstood and not heard. Sometimes it just seems easier to not have the conversation than it is to have it. However, we all know that that only lasts for so long. Eventually, that difficult conversation has to take place. Whether the difficult conversation has to happen with my husband, a client or student, or friend, I have a tool that makes those conversations much easier to have; The Awareness Wheel (see image below). It is a communication tool with a dual purpose, it provides both a framework for understanding a difficult situation and communicating about it. I was introduced to the Awareness Wheel as part of a Communications course in my Masters program and well I’ve been spreading the good news ever since. It is easy and accessible to people of all ages and almost any situation. Using it has increased my own understanding of my experience in difficult situations and has given me a new way to share my experience with others that did not result in conflict or increased tension. It’s one of those things that seems too good to be true, but trust me, once you have the hang of it, it will become your “go to” strategy for having those difficult conversations. 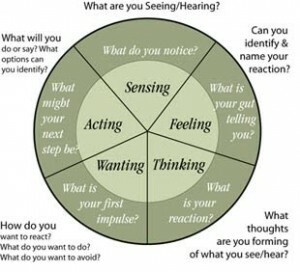 It has 5 phases or steps for reflection and communication; sensing, thinking, feeling, want, and ask/actions. Sensing: In this phase, you identify what you sense (see, hear); these are just the facts without any judgment or interpretation. Thinking: Next, identify your thoughts, ideas, and judgments. This is how you interpreted the actions you heard or observed. Feeling: Then you identify how it made you feel, the emotions you have as a result of the experience. Caution: do not confuse thoughts with emotions. If you begin a sentence with “I feel like…” it will be a thought which follows, not an emotion. Here you want to focus on emotion words: I feel angry, sad, frustrated, etc . Want: Now you can focus on what it is you want from yourself or others in this situation. Identify what you could do to resolve the situation or how you would like a similar situation handled differently in the future. Ask/Actions: Lastly, you determine what actions (actual behaviors-not opinions or attitudes) you must do to resolve the issue or you would like from others to improve the situation in the present or future. Yesterday when I was talking to Mary she said she didn’t have any time for me and walked away. I thought that was really rude and unfair because I had more to say. I felt ignored and frustrated when she walked away like she didn’t think I was important. I really wanted her to listen to me or make time to hear me and give me her opinion. Next time, I will ask her if she has time to listen to me before I delve into a topic. Hi Mary, do you have time to talk? Yesterday, when I was talking to you, you said you didn’t have time to talk (use exact words-don’t paraphrase or rewrite the past) and you walked away (don’t add any adjectives here like “abruptly” or “with an attitude”). I thought that it was rude and now I realize I had not asked you if you had time to talk. I was frustrated and felt ignored because I had more to say and wanted your advice. In the future when I want to talk to you, I’ll make sure you have time to talk. If you don’t have time to talk can you let me know before I get involved in my story? Now Mary has been informed about the situation and you have given her a way to resolve the situation. Depending on her response you may have to reply, if so, continue to use the same framework until you come to an ask/action you both can agree upon. Hi Mary, do you have time to talk?…Yesterday, I wasn’t able to get your advice before you left, I was frustrated because I wanted your advice. In the future when I want to talk to you, I’ll make sure you have time to talk. Do you have time now? Like any new skill, it will take some practice. Hopefully, once you become comfortable with it, you will find it as useful as I have to have those difficult conversations. Interpersonal Communication Programs, Inc. (ICP) are the originators and registered copyright holders of the Awareness Wheel®. Having a strong support system is an essential tool for success! Too often we take for granted that our friends and families are going to be there for us. When you are making changes in your life for the better, you may find that some of the people in your circle don’t really have your back. 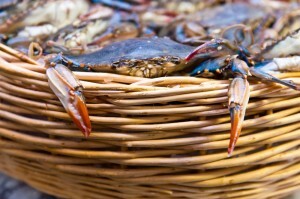 When fisherman set out to catch crabs they place a basket on the ocean floor with an opening that does not close. The crabs climb in, nestle in the bottom, and they don’t climb back, despite the open door. When one crab tries to climb out, the others pull him back down. Now why would someone who loves you fail to support you or keep you from growing? They fear that they will lose you or that you will fail so they discourage you from moving forward and potentially away from them. In either case, they are protecting themselves or you from potential pain. Understanding their motives doesn’t make their behavior okay, but it does offer insight and an opportunity to understand their perspective and address their fears. If an open and honest discussion with the person(s) doesn’t result in the change, or the kind of support you need, then you may have to re-evaluate your relationships, priorities, and goals. There are times in our lives when the relationships we have are no longer a fit and you may have to let go of something old to gain something new. One of the few things we can do in our lives is state our needs to people, and if they are unable to meet those needs then the relationship is no longer reciprocal or beneficial. This can be a difficult process, but potentially necessary if you are committed to success and achieving your goals. If you’ve got crabs, take as an opportunity to fine tune your support system by identifying those who are going to have your back and be the support you need, and making the tough decisions for those who don’t.